So glad to hear the fun is back. Thanking God for all the trail angels and surprises along the way. Praying the next 7 weeks are overflowing with unexpected and fun adventures. It’s been amazing to follow this journey! Oh my gosh Lorrie, that was an enlightening post. it is hard for us to imaging the stress, both physically and emotionally that you must endure….especially these last few rain soaked weeks. So glad your spirit has lifted, and you gotta feel great that Marc will be hiking with you soon. Hopefully he won’t slow you down too much! I’m sending some “Special G” with him. Thanks Marc! I’m very much looking forward to my Marc visiting and eating up your Special G! Susan and Ted cheering you on! Thanks Susan! I’m so glad to have your encouragement! I’ll be hiking the Grand Canyon from north rim–river–south rim from September 17-23. I’ll look forward then to seeing your AT posts from Maine! Continue to be amazed at your stamina and courage. Geez Lorrie! You have been through a bunch of exciting stuff! Keep on truckin’… You’re almost finished. I guess you heard Karen hit Katahdin Sun. Aug. 19. I cannot wait til you get back here to Fburg so I can hear your stories. Especially like this Day 153 post, Lorrie! 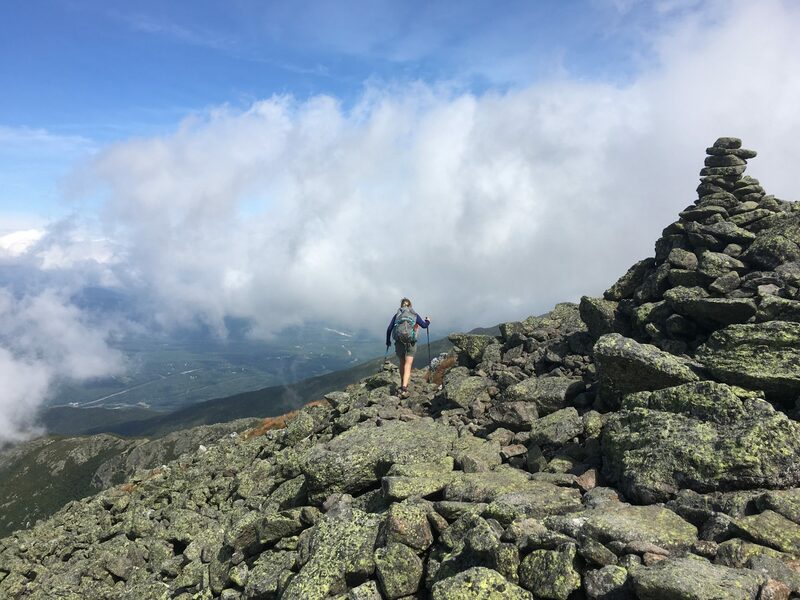 The people you’ve gotten to know along the way, what they’ve done for you, the things you’ve experienced … could be the trail really does provide what you need, just like Mexican Mainer says. Great to hear you’ve found your groove again! Stay focused – trust yourself — and you’ll finish strong. What an amazing adventure you are on. I know you have good and bad days, but know we are all cheering you on! You got this dear cousin! Sending you warm wishes and lots and lots of encouragement! Such an inspiration and so proud of you! Keep your heart and mind on that finish line! Sending our love from Michigan!